Yamaha dealerships in Mumbai, Pune and Delhi NCR have started accepting private bookings for the 2019 Yamaha MT-15 streetfighter, it has emerged. 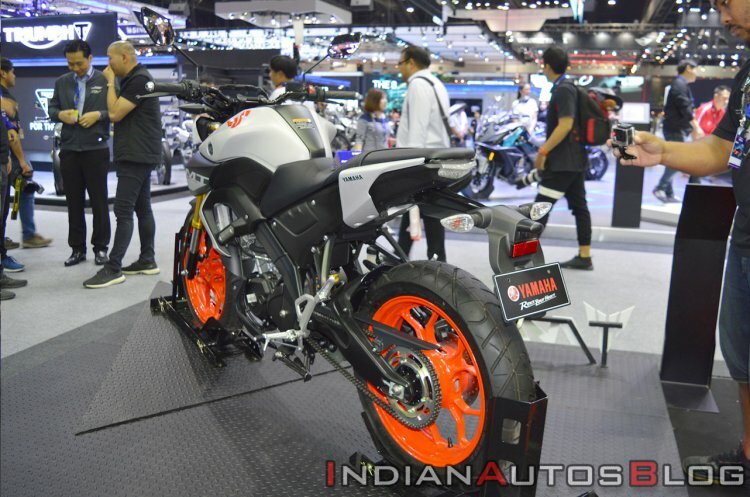 As compared to the Thai-spec 2019 Yamaha MT-15 (pictured), the Indian model will be equipped with telescopic forks, different 17-inch alloy wheels and a box-type swingarm. Potential customers can book the motorcycle at a token amount of INR 5,000. The all-new Yamaha MT-15 is set for launch in India on 15 March. The naked version of the Yamaha R15 V3.0 is likely to be priced circa INR 1.20 lakh (ex-showroom). IAB's exclusively report on 29 January revealed the dimensions and engine details of the India-spec Yamaha MT-15. As compared to the global model, the Indian version measures 2020 mm in length (55 mm longer), 1070 mm in height (5 mm taller) and 800 mm in width, while the wheelbase is 1335 mm. The MT-15 is powered by a 155.1 cc SOHC, liquid-cooled, fuel injected 4-valve engine that churns out 19.04 bhp of maximum power and 14.7 Nm of peak torque, while it comes paired with a six-speed transmission. The motorcycle features a first-in-segment slipper-clutch. Cosmetically, the Indian-spec Yamaha MT-15 features telescopic forks up front that replaces the USD units, while a box-type swingarm is used in place of the cast aluminium unit on the global-spec model. The motorcycle also comes equipped with R15 V3.0-sourced alloy wheels and tyres, while a linkage-type rear mono-shock is retained from the global version. 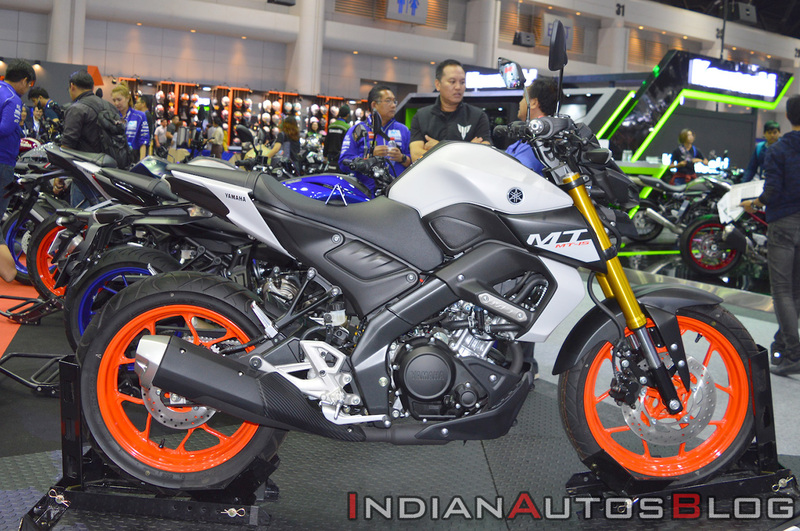 The India-spec model will be 55 mm longer and 5 mm taller as compared to the global-spec Yamaha MT-15 (pictured). The Yamaha MT-15 V3.0 is be underpinned by a Deltabox frame, which offers a venerable ride and handling on the R15 V3.0. The design is inspired by the Yamaha MT-09, with a new bug-eyed projector LED headlamp and muscular fuel tank with extended shrouds. The bike is also equipped with a fully digital instrument cluster.